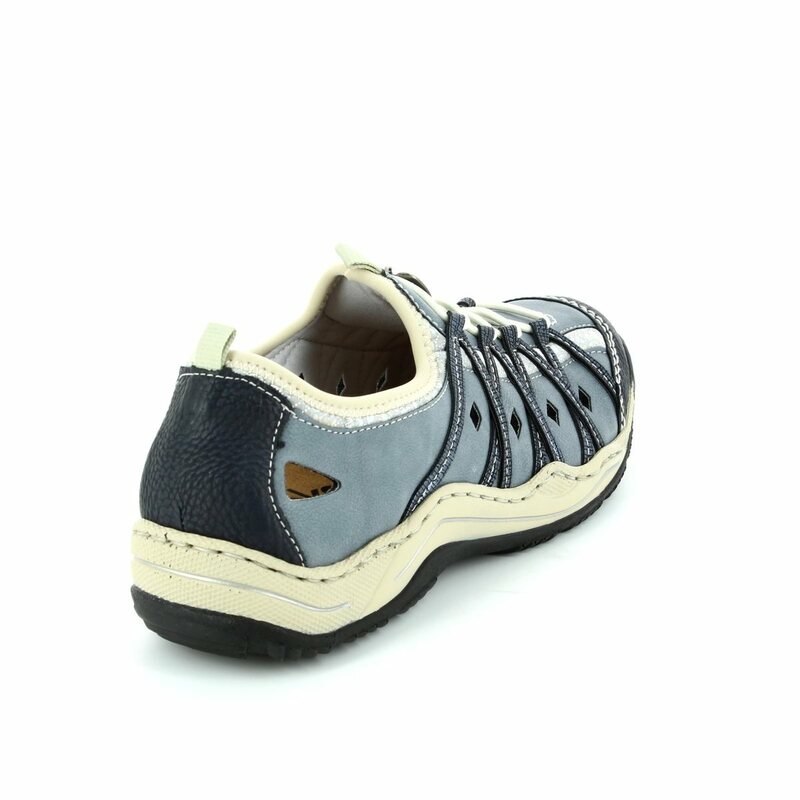 Rieker bring you these sporty slip-on trainers which have style and comfort all rolled into one. 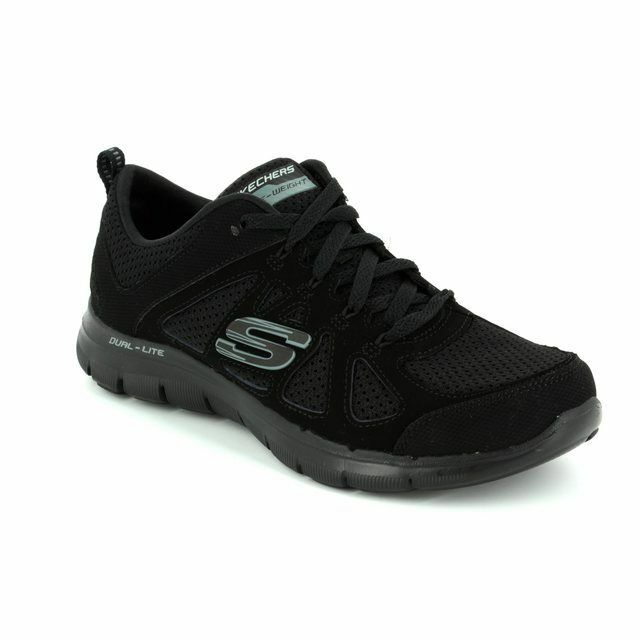 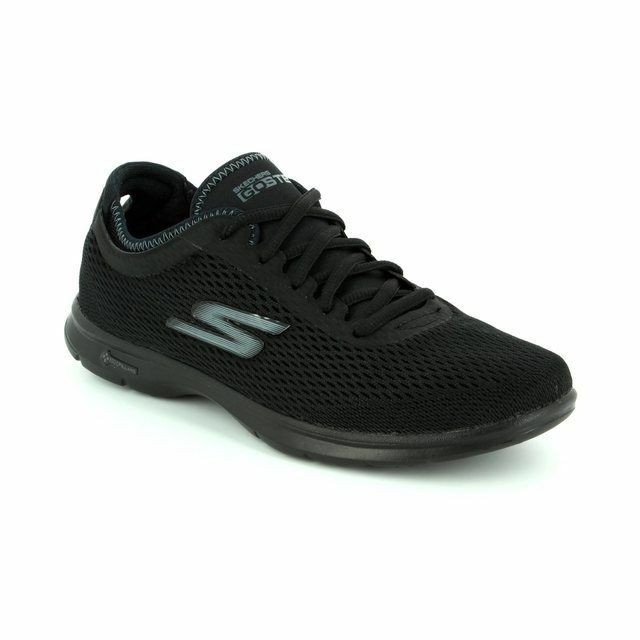 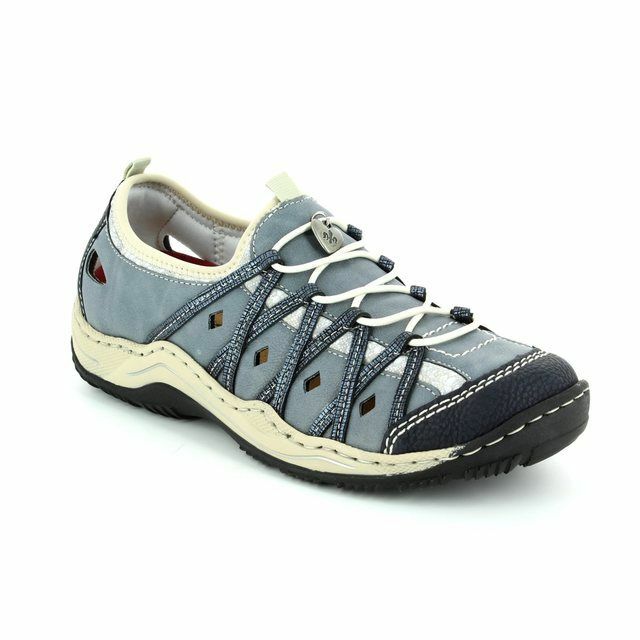 These casual womens trainers are formed from navy blue synthetic leather with seam accent detail on the front and sides and perforated detail to allow air to circulate during the warmer weather. 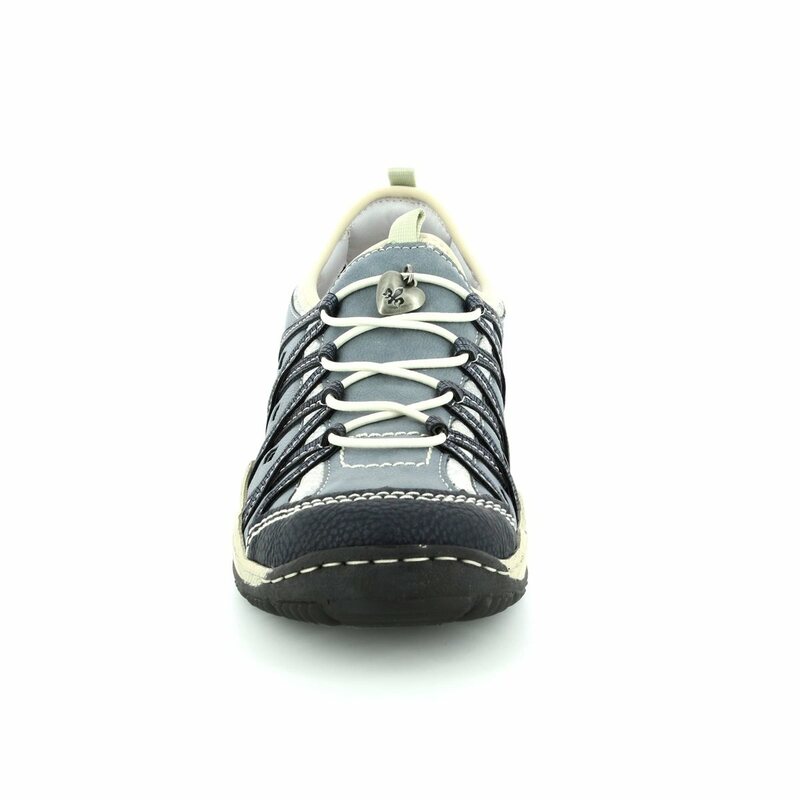 A bungee stretch lace runs up the front of the shoes, and eyelets secure them in place and allow for a quick and easy slip on design. 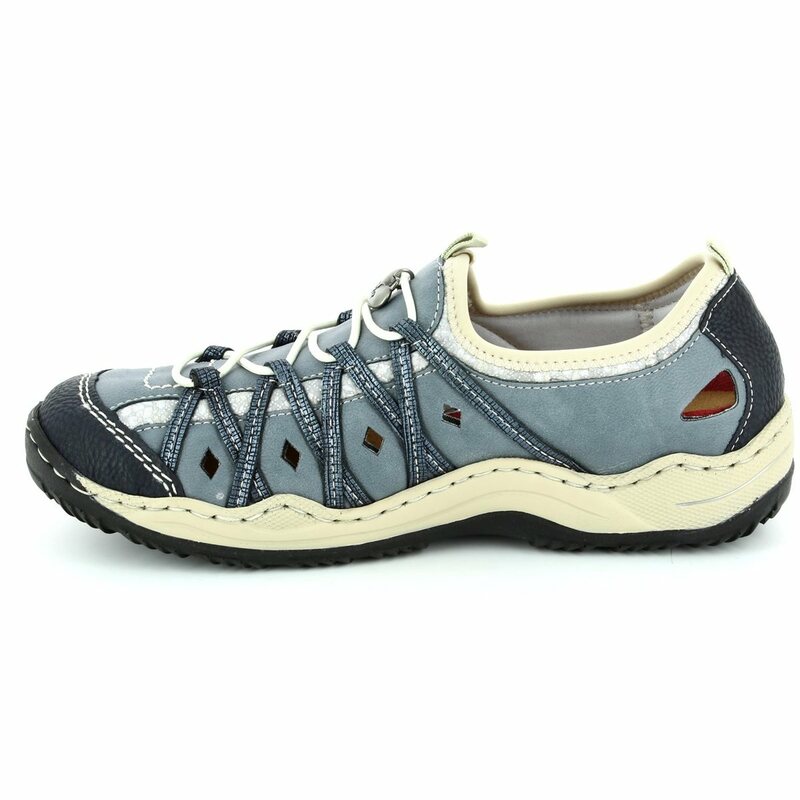 These Rieker ladies shoes have a flexible rubber outsole which gives them great traction whilst the cushioned insole is removable, allowing for orthotics to be inserted. 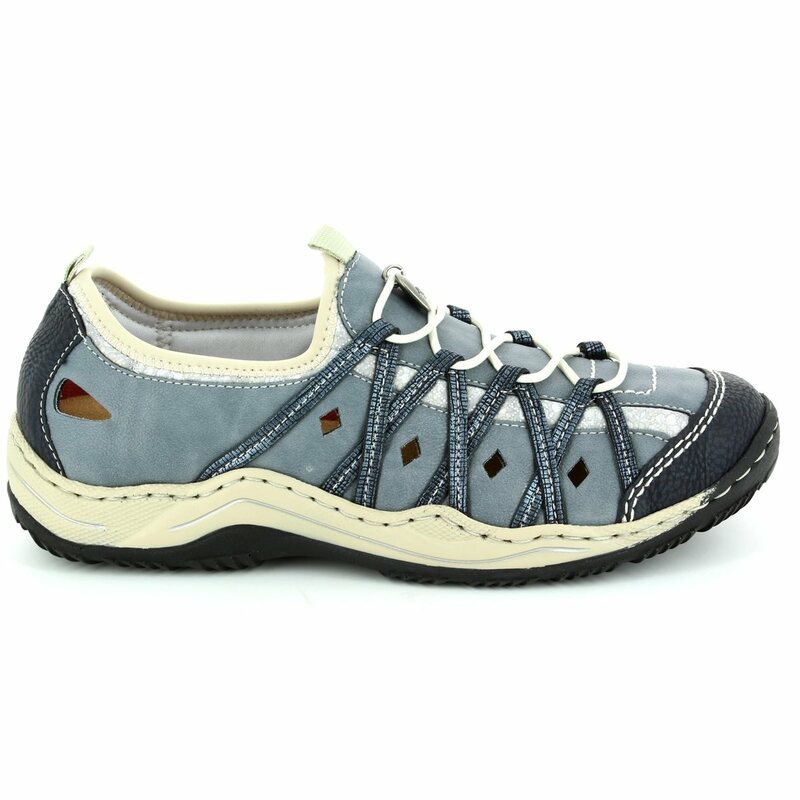 Buy your Rieker ladies trainers online now from Begg Shoes and Bags who are an instore and online Rieker stockist.